As can be expected, the new nVidia driver versions have several performance improvements that will particularly benefit game players. Support and performance of the popular Battlefield game are specifically improved. In addition 3D Vision is now included in the video drivers, no need for a separate USB 3D Vision driver anymore. This includes several more 3D Vision gaming profiles. Of course the Nvidia driver update also includes an updated version of the HD audio driver for the HD audio component on video cards. The new version is 1.2.24.0. A nice improvement is present in the power saving feature, which is achieved by changing the clock speeds on the graphics cards depending on the graphics demands. The improvements result in faster adjustments of the frequency to ensure no lag of graphics power is experienced. In the same way, downscaling is also faster to save power when possible. Several bug fixes are also included in version 285.62 of the GeForce drivers. If you have been experiencing video problems with specific games, applications or DirectX, make sure to upgrade the video driver and check for the problem again. People who like to overclock their video cards, will notice that this option is not present any more in the default Nvidia control panel. Users now need to download the Nvidia System Tools software for that. After installing the new Nvidia video drivers, make sure to check your resolution, and check the Adobe Flash player version. In same cases the screen resolution can change, and the latest Flash player (version 11) ensures online HD video content plays smoothly. Also keep in mind that changing Nvidia driver versions, is always best done by running the installer for the approriate version. Uninstall the previous version, especially when you want to install an older version. The Windows driver rollback option does not work reliably with these drivers. 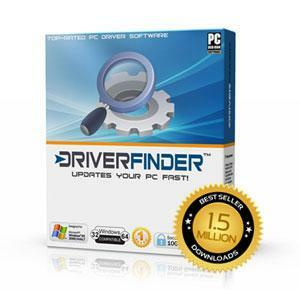 Uninstalling the drivers from the Device Manager will not remove all Nvidia driver related software. Use the Uninstall option in the Control Panel instead. For the full release notes on version 285.62, please check the nVidia website. For a quick look at the latest drivers added to the DriverFinder database, please click here for our 24/7 updated driver feed. hi, i have xp 32 bits, but when i try to update evirdr, the opcion Browse my computer for evirdr software->ADB Interface dont appear, can you help me please.thanks (sorry my english it is not good)regards!! !